Purple Plum Fairy: Do You Have ADHD? A generation ago, when one sees a hyperactive child, he was immediately dismissed in vernacular as either malikot, matigas ang ulo, makulit, adelantado, pilyo, if not mahina or worse bobo. Often, a parentsl reprimand was the answer to unbridled energy. 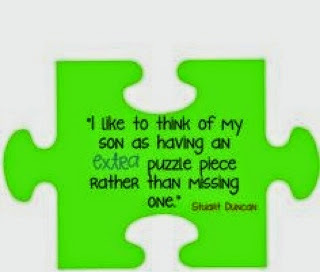 Chances are, the child grows up with a wounded sense of self along with overwhelming confusion about why he is the way he is, limiting his chances of a promising future, when he should have been taken to the doctor for a diagnosis or an assessment and prompt treatment. 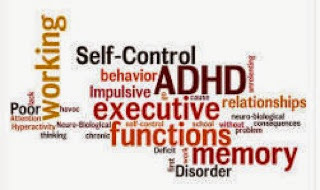 Attention Deficit Hyperactivity Disorder (ADHD) is considered and recognized as childhood developmental problems characterized by inattention, hyperactivity, and impulsiveness. It usually affects males at a higher percentage than females. It is not known that these symptoms continue into adulthood for about 60 percent of children with ADHD. However, few adults who were never diagnosed as children are identified or treated for adult ADHD. "Adults with ADHD may have difficulty following directions, remembering information, concentrating, organizing tasks, or completing work within a given time frame. If these difficulties are not managed appropriately, they can cause associated behavioral, emotional, social, vocational, and academic problems." 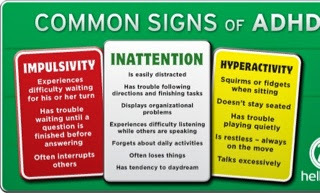 Common behavioral problems that are associated and may stem directly from ADHD includes anxiety, chronic boredom, chronic lateness and forgetfulness, depression, difficulty concentrating when reading, difficulty controlling anger, employment problems, impulsiveness, low frustration tolerance, low self-esteem, mood swings, poor organization skills, procrastination, relationship problems, substance abuse or addiction. These behaviors may be mild to severe and can vary with the situation or be present all of the time. Some adults with ADHD may be able to concentrate if they are really interested in or excited in what they are doing. Others may have difficulty focusing under any circumstances. Some adults look for stimulation, but others avoid it. In addition, ADHD in adults can be withdrawn, introvert and antisocial, or they can also be the exact opposite--they can be overly social, going from one relationship to the next. 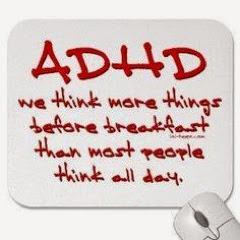 According to mayoclinic.com, ADHD is not an adult-onset disorder and symptoms begin during childhood. ADHD has a strong genetic component. If a family member has been diagnosed with it, odds are high that one experiencing the symptoms listed suffers from it as well. In the past, the first treatment typically offered to adults with ADHD has been stimulant drugs. Studies show that approximately two thirds of adults with ADHD who are given these medications show significant improvement in ADHD symptoms. Adult ADHD can be treated with one or more of the following individual cognitive and behavioral therapy to enhance self-esteem, relaxation training, anger and stress management, life coaching to help set goals and develop strategies for organizing home and work activities, job coaching or mentoring to support better working performance, and improve relationships. If you think you've got the symptoms, it's alright. You're actually in a pretty good company: Albert Einstein, Isaac Newton, Thomas Alva Edison, Winston Churchill, John F. Kennedy, Bill Cosby, Jack Nicholson, Donald Trump, Michael Jordan, Michael Phelps, Tom Cruise, Will Smith, Jamie Oliver and Robin Williams-they all have ADHD. The key for them was to learn to harness all that extra energy into something productive.